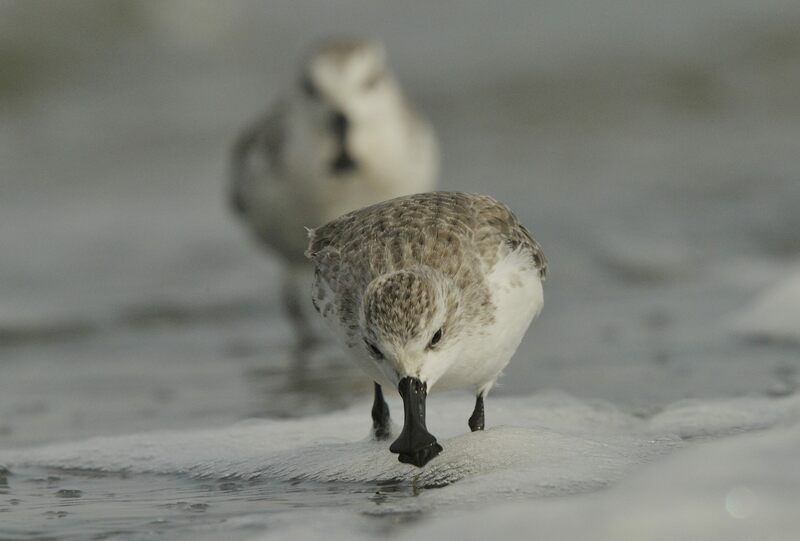 A key wintering site for Critically Endangered Spoon-billed Sandpipers in the Bay of Bangkok is currently being filled in to make way for a solar farm. Situated in the Samut Sakhon province to the south-west of Bangkok, the saltpans at Khok Kham are world-renowned among the birding world for holding large numbers of migrating and wintering shorebirds, including several Spoon-billed Sandpipers, every year. Other species such as the Endangered Nordmann's Greenshank and Great Knot are also regularly seen here. The news comes as a blow to Spoon-billed Sandpiper conservation in the wake of positive outcomes at Slimbridge, where the species bred in captivity for the first time this year, and in Russia, where 30 'headstarted' chicks were released in mid-July and a previously unknown breeding area was discovered earlier in the month. Despite the Bird Conservation Society of Thailand (BCST) lobbying the Thai government to attempt to make Khok Kham a Ramsar site in recent years, approximately a fifth of the entire site is currently being filled in for the solar farm, which will produce three megawatts of power when it commences operations in December. The owner of the saltpans being used for the solar farm, Wai Rodtayoi, said farmers like him are not worried about the impact on the birds because leasing the land to the solar farm operator is far more profitable than conservation. Mr Wai explained: "We don't get anything from the birds. They just come here to catch fish and we don't earn anything from that. We cannot hunt them because it is against the law and they also eat the fish from our ponds. We prefer the solar farm over the birds because we will receive a substantial amount of cash from it." According to Sunseap Energy Co Ltd, the land owner will receive over 1 million Thai baht (approx £21,700) per year for the 25-year lease. Mr Wai said that the traditional occupation of producing salt in the area was no longer sustainable as the price of salt is now only about 1,000 baht (£21.70) per 1.5 tonnes. He added that many of the farmers are now too old to continue panning for salt and that the newer generation is not interested in the work. Thathaya Pittayapa of BCST explained that the remainder of the 200 rai (320,000m²) of salt basin at Samut Sakhon is likely to disappear because there is no law in Thailand to conserve bird populations and their habitats on private land.